There was a super turn-out for the Family Frog Evening on Friday 8 January, altogether nearly 90 adults and children. 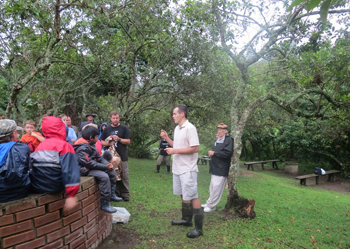 The rain held off while everyone enjoyed a picnic under the trees before the introductory talk and walk. 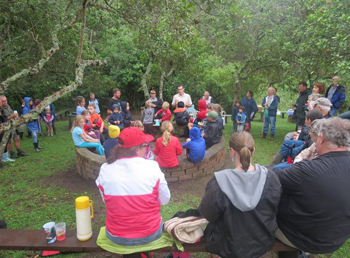 Unfortunately Dr Jeanne Tarrant wasn’t available due to a family bereavement, but she was ably represented by her colleague Nick Evans, Endangered Wildlife Trust Field Officer, who also showed the children (and adults) some frog eating snakes.